Giving the gift of a bottle of wine to a wine lover can be tricky business. After all, wine aficionados have a reputation for being fussy about wines they like. Never mind that their taste in wine may fall outside your budget. Unless you're a wine geek yourself, there's also a good chance you might miss the mark on a wine they'll really enjoy. And good luck finding a winner they haven't already tasted. For a different, yet sure-fire way to please a wine lover, give the gift of wine smarts. Wine lovers are a thirsty bunch – and their thirst for wine savvy extends to non-liquid forms, too. That's where these gift ideas come in. The first of this two-part post presents wine books to thrill the wine lovers on your list. Later this week in Part 2, I'll cover magazine, online and mobile wine treasures, as well as wine toys and tools that really work. The reading and reference picks below are updated from a resource list I've given out at Wine Essentials, a series of wine education classes at Cooking with Class in La Quinta. Because everyone learns differently, try to pick a format your wine-loving friend will find appealing. All gift ideas here are easy to find locally or order online. Best of all, most won't set you back more than the cost of a good bottle. Happy Holidays! This slim, annual reference by a legendary British wine expert tackles grape varieties, vintage reports, major brands, food-pairing suggestions and hundreds of wines listed by country. A chewy list of splurges, favorites and best buys by country, brands, wine styles and varietals. The first half of the book tells the stories of winemakers who are rattling the vines to create value and drive wine-drinking trends. To take in a remarkable piece of American wine history, pick up Taber's Judgment of Paris, too. New in 2011, this expert-led hardback serves up wines by world regions with handy tips from reading wine labels to storage and serving. While some prices may not fall into what you consider everyday drinking, the producers and wines in this book are definitely worth seeking out, for budget-seekers and special occasions. The latest 2010 edition is a wine dictionary of sorts, with more than 4,000 entries that cover terms, varietals, techniques, regions, styles and much more. Concise and helpful appendices with tips on glassware, pronunciation, lots more. Region-by-region wine smarts and geography made easy by a straight-talking wine educator. The 2011 edition has smart phone tags to his videos. By presenting wines in four basic styles of reds and whites, plus two each for rosés and sparklers, the authors offer an interesting approach to understanding your wine palate. Best suited for experienced tasters, or advanced beginners looking to learn more. With the author's distinctive charm, this book lists more than 300 grape varieties in an A-to-Z format with pictures, maps and more. The new edition describes Old vs. New World styles, aging capacity and beyond. Straight talk from Wine Style authors with essential knowledge, maps, AVAs, wine travel tips, history and tips, tips, tips galore. Not to be pooh-poohed, these books are great stepping stones for friends who are just starting to get into wine. Also useful for those who are already into wine, but could use a compass on their wine journey. Includes Wine for Dummies (2006), French Wine For Dummies, Italian Wine for Dummies (2001), California Wine for Dummies (2009) and Australian and New Zealand Wine for Dummies. The 2010 mini-edition of Wine for Dummies available on Kindle. Much more than its subtitle, this treasure includes essential information on major red and white grapes, sparkling and dessert wines, recommended producers and glossary – a goldmine of useful information with awesome recipes by Evan's mom, the groundbreaking chef-creator of San Francisco's Square One. 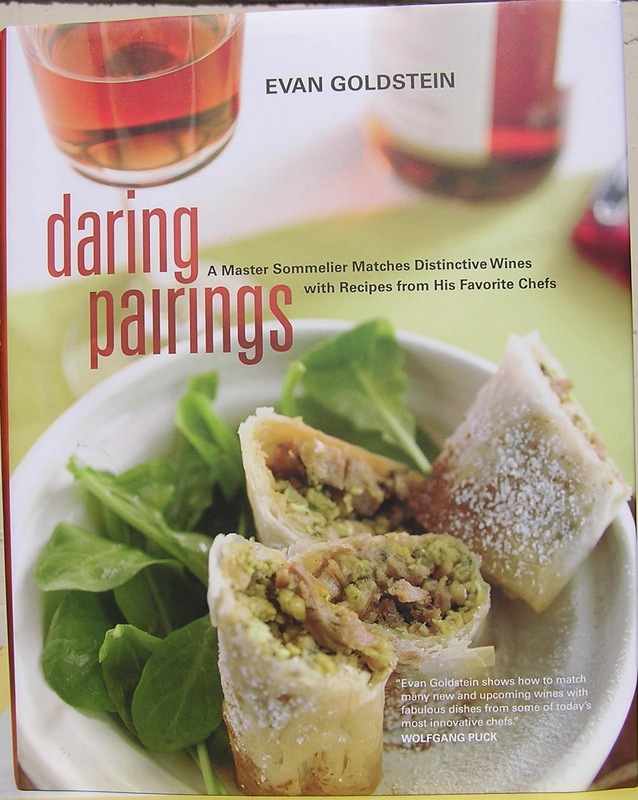 Evan tackles 36 grapes with pairing recipes by 36 top chefs, including Suzanne Goin, Philippe Jeanty and Cindy Pawlcyn. There's also a review of concepts introduced in his first book, tips on shopping for wine and an at-a-glance table that summarizes wine styles by varietal. Both books are go-to resources to use over and over again. 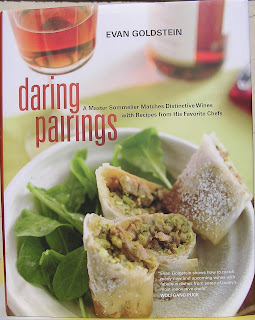 Heavy with tips and comments from master chefs and sommeliers, this duo's latest (2011) book is a one-stop resource for pairing wines with food. Easy-to-use quick lists and timelines make learning about wine fun and provocative. From the authors of What To Drink With What You Eat, another must-have favorite. Not for everyone, this humorous guide to wines was written by an iconoclast with a knack for explaining wine and wine concepts in plain English. Big on silliness and fueled by testosterone, but also practical.